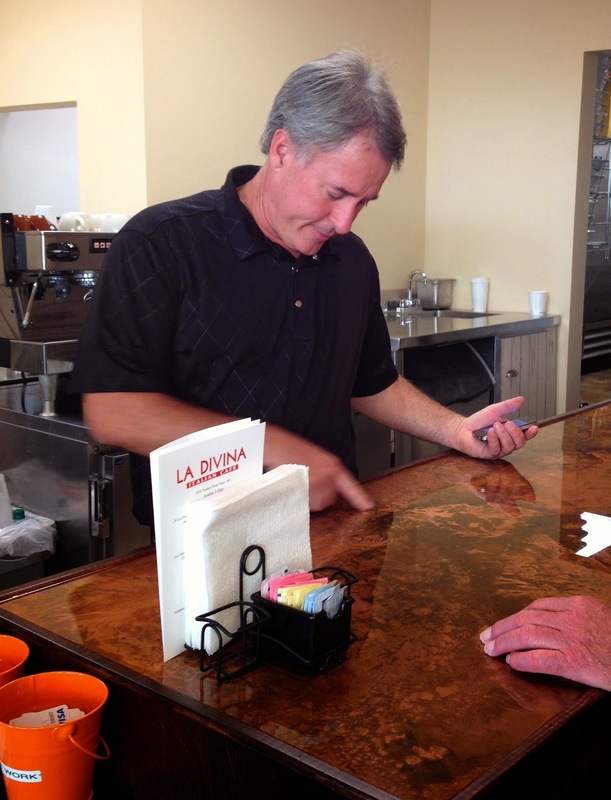 Weekday Rambler: La Divina Italian Cafe....It's Simply Divine! La Divina Italian Cafe....It's Simply Divine! 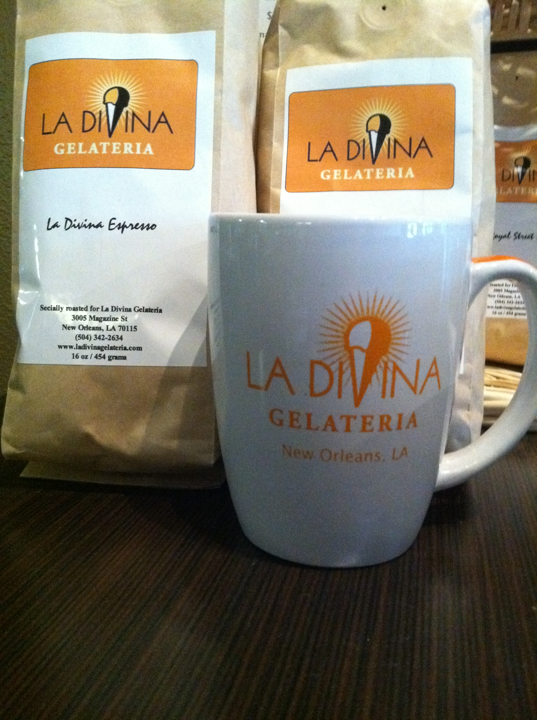 Lance and Mary LeBlanc were enamoured with the gelato from La Divina Gelateria in New Orleans, so they wanted to share it with their hometown, Baton Rouge. The owners of the original stores, Katrina and Carmelo Turillo, were inspired to create gelato that would replicate the taste of the frozen dessert they learned to love while living in Italy. 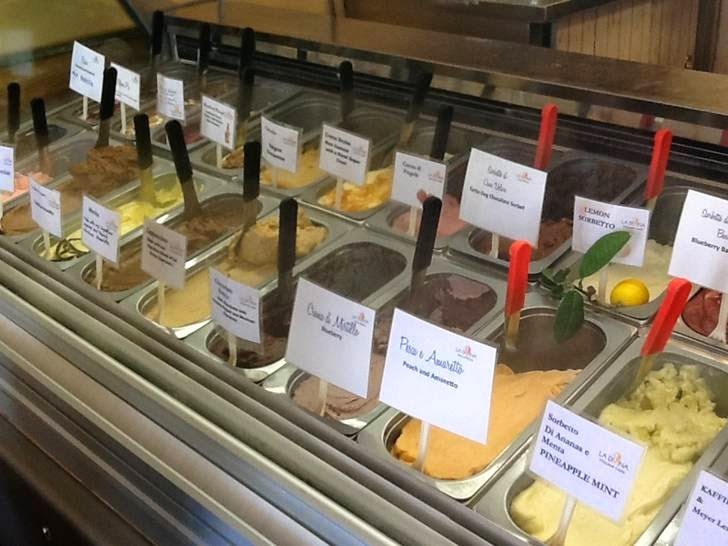 The LeBlancs became interested in bringing the gelato to Baton Rouge because of its unique qualities: 1/3 less fat and fewer calories than ice cream, and it is served at a slightly warmer temperature than traditional ice cream. The combination of less fat to coat the tongue, and the fact that taste buds are not frozen allows the flavor to shine through. 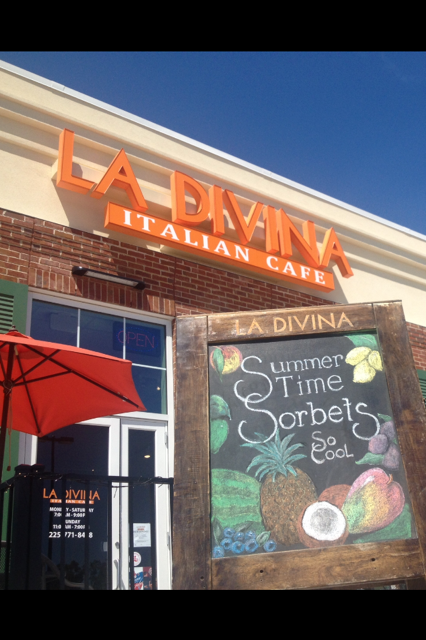 The crowning glory of La Divina is the artisan gelato and sorbetto. The ingredients are fresh and many times from local vendors. The frozen desserts are made at the New Orleans Magazine Street location and are delivered weekly by Carmelo. The small batch production ensures quality in product and the flavors. The offerings change seasonally, but there are a few staples that are real crowd pleasers. The Bourbon Pecan has a hearty bourbon aroma and flavor and is laced with toasted nuts. The Azteca Chocolate is made with Valrhona couverture, local honey, cinnamon and a sprinkle of cayenne pepper. Peach Amaretto sorbetto.......well the name says it all. The Ping Pong flavor is pink, fruity and fun and is a favorite with kids of all ages. (2 oz. bambino portion) to a full quart to take home. If a customer cannot decide on a flavor, the tastes are free until such an important decision can be made. There are normally 24 flavors from which to select. They even make a gelato for dogs...not kidding! The menu also features a variety of espresso drinks, pastries, panini, soups, salads and creative side dishes. The full menu can be found at this link. For announcements of daily specials and of new flavors, their Facebook page is invaluable. Espresso drinks are served all day, and the baristas have fun creating new drinks to add some variety to the selections. The coffee is custom roasted 100% Arabica and can also be purchased in bulk under the LaDivina label. The most recent specialty drink item is Butter Coffee using grass fed butter and coconut oil. Those following carb free diets really like that one. The coffee menu is rounded out with mocha, cappuccino, macchiato and basic espresso. Every Monday morning there is a BOGO special where you can indulge yourself and a friend. Coffee drinkers and dessert lovers will also be tempted by the variety of fresh baked pastries. The pastry selection changes daily and it doesn't disappoint. My favorite panini is the Cabrini. It is served warm, and the ingredients include prosciutto, creamy chèvre cheese, Asian pears and a tangy honey mustard sauce. 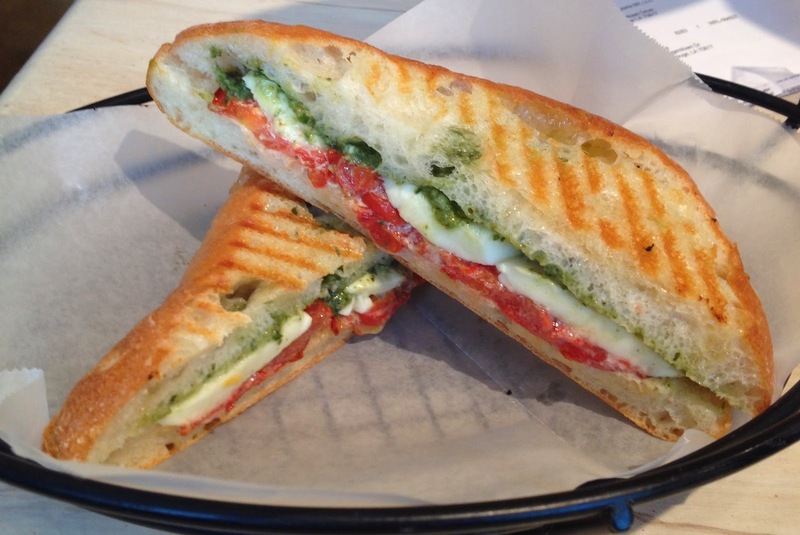 The Carmelo (named after the creator of the restaurant) is a scrumptcious concoction of seasonal vegetables, pecorino cheese and arugula pesto. The sandwich paired with the house made Zuppa create a great meal. Tomato Basil soup speaks for itself, but the Tuscano merits an ingredient list so you can get the full idea of this delicious menu item served almost daily. It starts with a cream base and is chocked full of Italian sausages, chopped kale and potatoes. It is hearty and could be a meal in itself. Don't be fooled into thinking you are eating light if you order Insalate. The salads are huge! You could share one and still be completely satisfied. The Azul is made with romaine lettuce, sliced red onion, gorgonzola cheese, spiced pecans and a soft boiled egg. All are tossed in a red wine viniagrette dressing. The Il Polo has grilled chicken slices, romaine lettuce, avocado slices, red onion and tomatoes in a pancetta vinaigrette dressing. 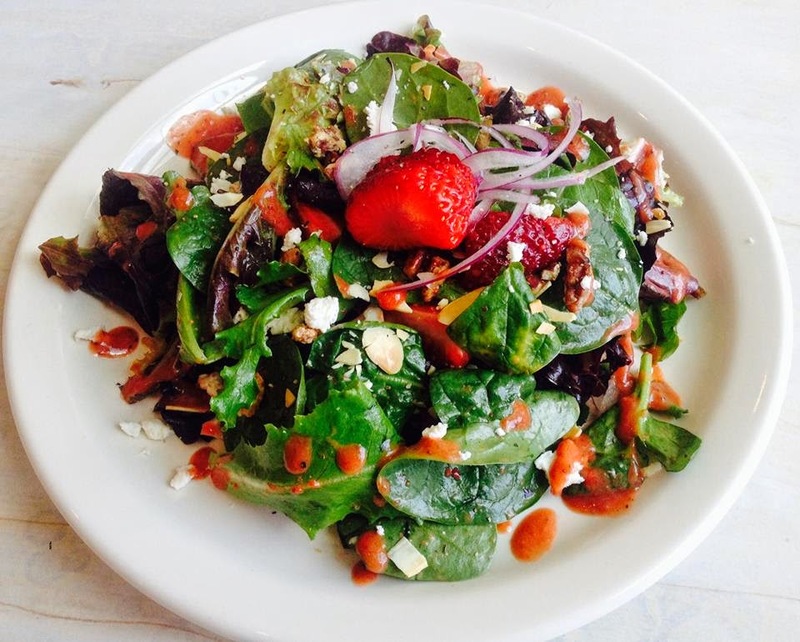 This summer an "off the menu" special was the Strawberry Insalate made with fresh Louisiana fruit and a fruity balsamic dressing. For those wishing to have a side dish with a panini or salad, there are several of those, too. There are Rosemary Roasted Potatoes served up in a large bowl and house marinated olives. 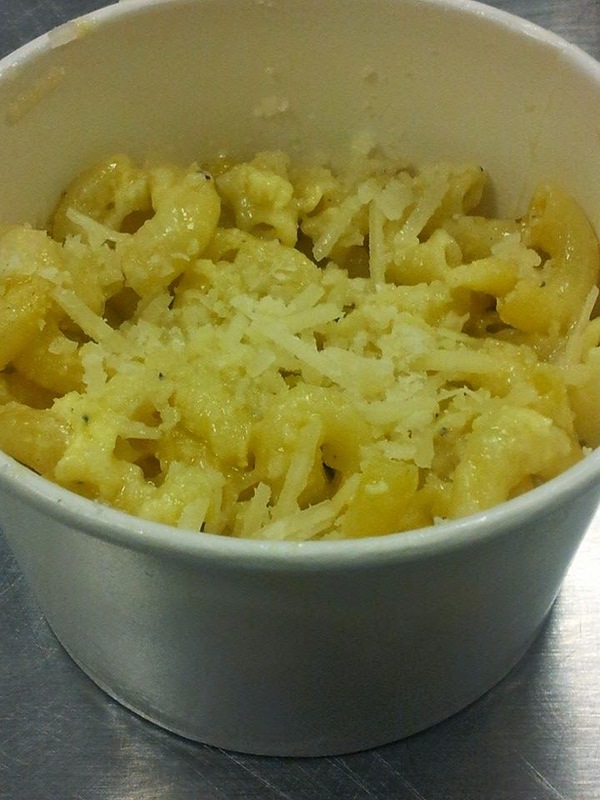 The very best side (in my opinion and worth driving 30 minutes from my house to LaDivina) is the Truffled Mac and Cheese. The space at LaDivina Italian Cafe is pleasing with an eclectic look that pops with a bright orange color and speaks of loving attention to detail. Lance found the chairs at auction and refurbished them. He also gave the plain tables a faux marble finish. A local furniture maker designed and constructed the banquettes along the side walls. There are always fresh flowers on the table and most are grown in Mary's garden at home. The copper topped bar area was hand crafted by Lance and is unique and functional. The artwork on the walls is changed monthly as they feature local artists. On my last visit the art of Claudia LeJeune, a juried watercolorist, was featured. The paintings are for sale or for your enjoyment as you dine. 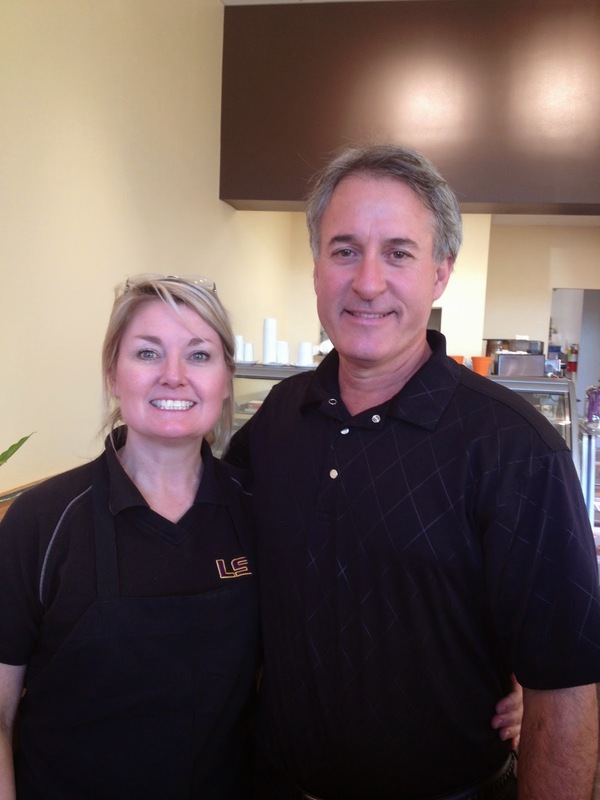 Lance and Mary support the arts in Baton Rouge and have donated gelato to various art events. Except in the summer, La Divina hosts a monthly Italian Night. The programs are varied but include mandolin music and lessons in speaking Italian. Announcements of the programs and dates are found on their Facebook page. 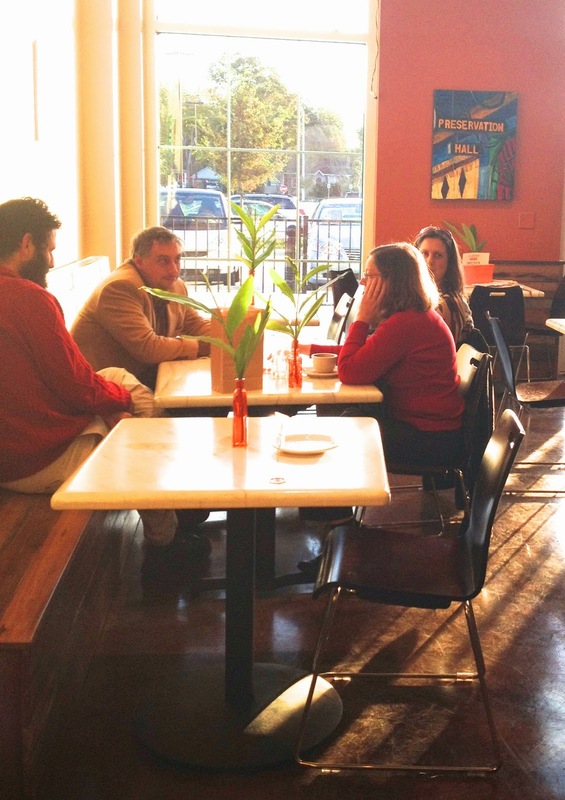 La Divina is a great place to hang out, drink coffee and eat. Drop in for coffee, gelato, breakfast, lunch or dinner, and be transported to a little part of Italy. The restaurant is located at 3535 Perkins Road, Baton Rouge, LA in the Acadian Village Shopping Center. Be sure to tell Mary and Lance that I sent you and enjoy! Had I not already partaken of their sumptuous fare I would be heading there now having read your spot-on review. Be prepared LaDivina..if Dot mentions it, they will come. Thank you, Mam! the food is delicious and the owners are top notch. One or the other is usually onsite taking care of the customers with a smile!